← Its all in the …. details!!! So, I have some exciting news to share!!! 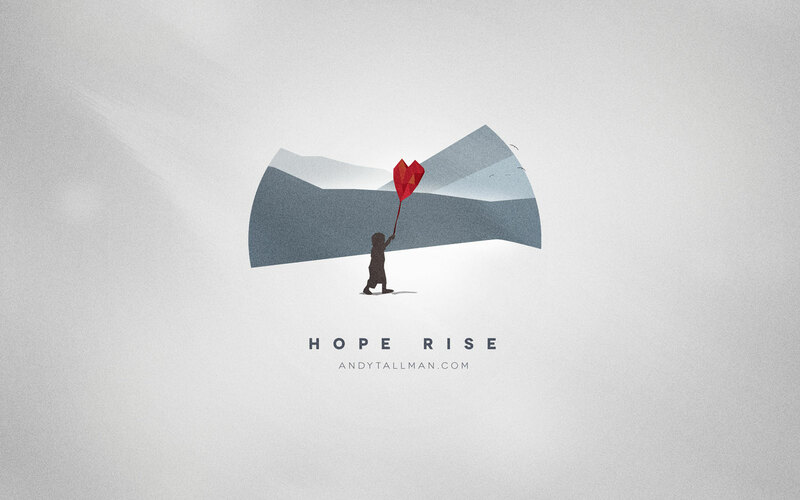 Hope Rise is a new CD by a great musician and friend of ours by the name of Andy Tallman. All proceeds from the sale of this CD goes to the building of the new Hospital Infantil Padre Pedro in El Salvador! How exciting!!! What’s even more exciting is that it’s available on iTunes for download. So head on over to iTunes right now, buy your copy and support a great musician and a great cause! If you want a hard copy of the CD as well, you can email me at ritadoppenberg@cten.org and I will arrange to get one to you. CD hard copies are $10.00. It is so remarkable that this is available today of all days, a day I needed some hope… iTunes had experienced some technical difficulties and the launch of the CD on their site was delayed until today. Last night I had received an email from Hermana Veronica at the Hospital Infantil Padre Pedro in Guatemala…. with some photos and some very bad news. She asked me to pray… and get others to pray for a new patient they had arrive on Monday…. Precious little 9 month old Esteban is in very bad shape. He was abandoned at and then released from the Jutiapa Hospital. 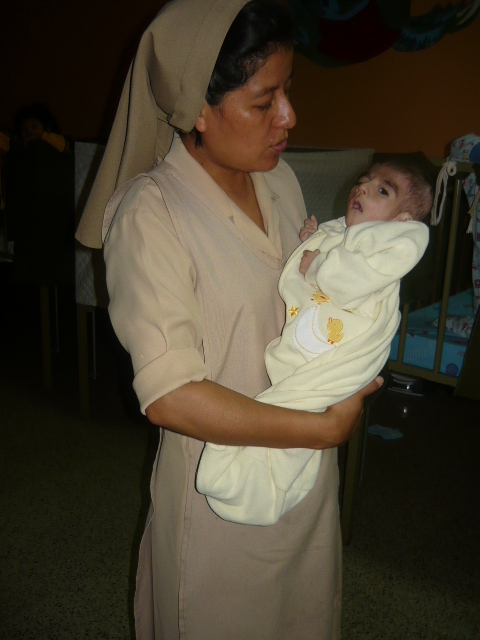 He has been put in the care of the Hospital Infantil Padre Pedro and the loving Hermana’s. He is suffering from a very severe case of Kwashiorkor & Marasmus malnutrition with extreme muscle wasting and psychomotor retardation. 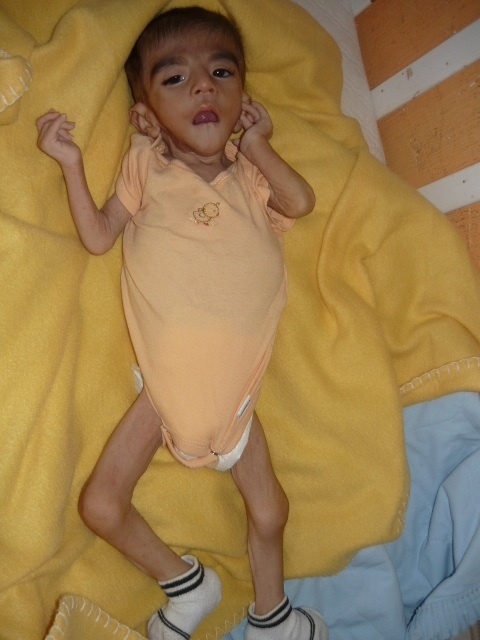 He is in the final stages of severe malnutrition where even hospital care with a feeding tube has not helped. There was nothing more the hospital could do so they sent him to the Hospital Infantil. Not much can be done, even there, for him now except to love him and pray for him. The Hermana’s are keeping hope and doing all they can for this precious boy. It is for children like Esteban that the Hospital Infantil exists, even at times when all they can do is hold and love a precious child until they are called home to Heaven. For the time being, all we an do is pray…. so join us in praying for Esteban…. and let Hope Rise…..
Posted on June 13, 2012, in Guatemala Missionary, Uncategorized and tagged celebrate life, friends, grief, Guatemala, Hope, Malnutrition, mission, Missionary, Volunteers, World Impact, Youth. Bookmark the permalink. 1 Comment.